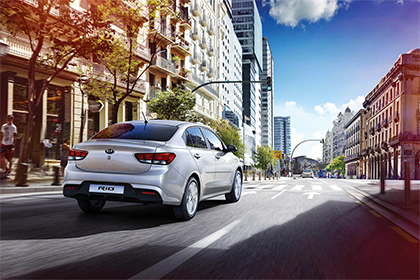 London's Airport Kia maintains a comprehensive lineup of used cars, trucks and SUVs from auto manufacturers. Located at 2284 Dundas St E in LONDON, ON, London's Airport Kia strives to maintain the best and most comprehensive inventory of Pre-Owned vehicles. At London Airport Kia, we have an attractive offering of used cars for Brantford and surrounding areas. Our sales personnel can guide you through our stock and get you into a superior used car. All our used cars must undergo a multi-point inspection before we put them on sale. Our five-star technicians are factory-certified for the used vehicles on our lot. They are geared up for long-term service and maintenance for the life of your car when you purchase one of our gently pre-owned vehicles. With roadside assistance and more, our number one goal is to give our clients the standout support they deserve. Stop in and see us today. We've got the perfect used car waiting for you!